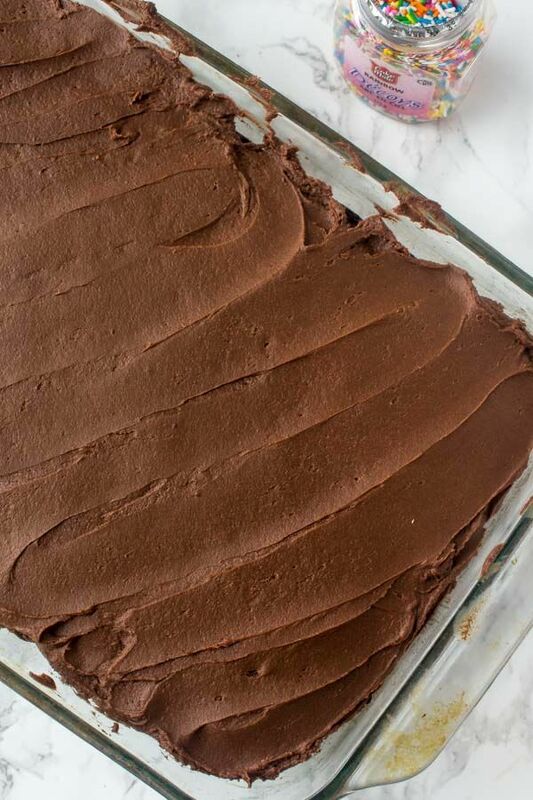 This easy chocolate sheet cake is moist, fudgy, and way better than any box mix. Top it with chocolate frosting, and you’ve got yourself a show stopper. 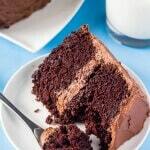 Everyone needs a tried and true, easy chocolate cake recipe. And this chocolate sheet cake is exactly that. 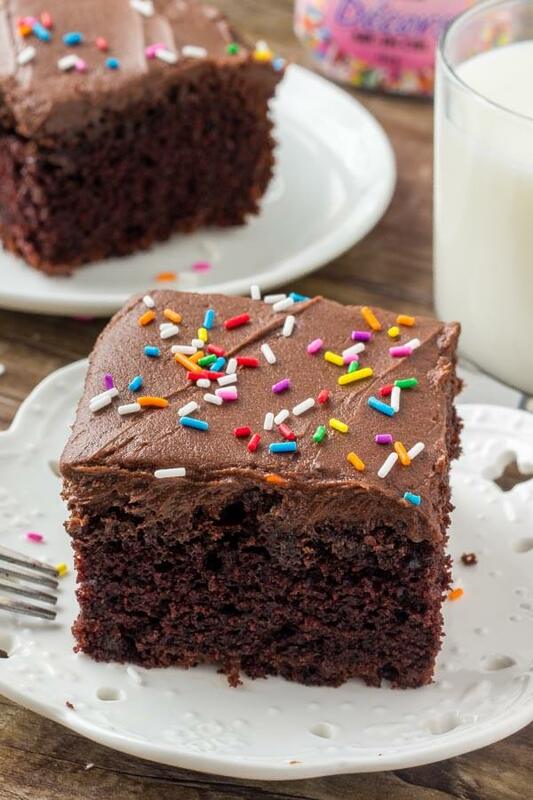 It has a delicious chocolate flavor that’s just chocolate-y enough without being too rich, and a fudgy moist texture that makes the cake so irresistible. 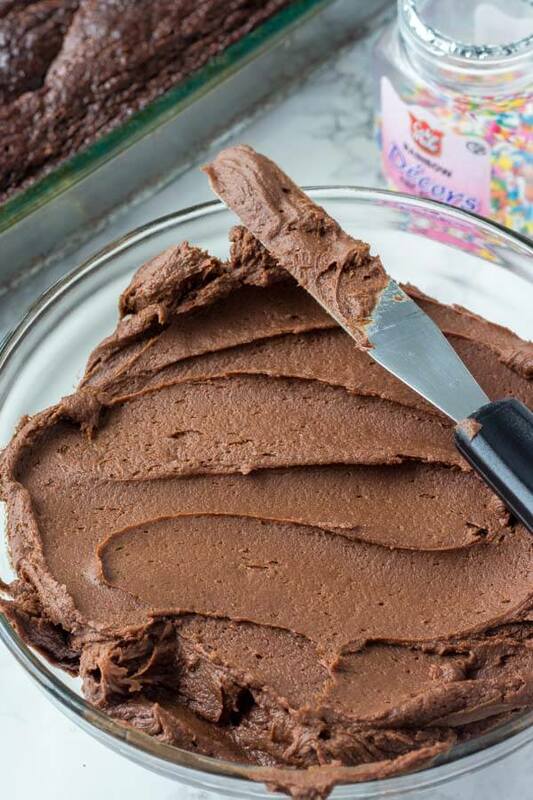 And to knock it out of the park, we’re topping it off with fluffy chocolate frosting. Because seriously, who ever said no to a double dose of chocolate???? 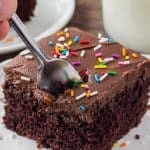 What you’ll especially love about this chocolate sheet cake is that there’s no fancy ingredients, or complicated steps. We’re just using pantry staples – like oil, cocoa powder and milk – so you likely won’t even need to run to the grocery store for. And unlike a lot of chocolate cake recipes, there’s no hot coffee in the batter. So if you’re serving it to children or if you like to stay away from caffeine – then this recipe is also definitely for you. Making this recipe honestly couldn’t be easier. You can literally make the cake batter in under 10 minutes then it goes in the oven to bake. So here’s the details. In a large bowl beat together the oil, sugar, vanilla extract, eggs and milk. Then carefully beat in the flour mixture. Pour the batter into your prepared pan – and you’re ready to bake. 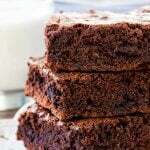 The oil keeps this cake moist and the eggs keep the batter tender and give a more fudgy consistency. It’ll bake for about 30 minutes, or until an inserted toothpick comes out clean, and then it’s time to get on with the frosting. 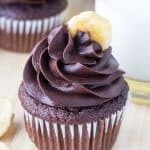 The chocolate frosting is a simple buttercream made with butter, cocoa, powdered sugar and cream (or milk). It’s fluffy, chocolate-y and everything you could want in a frosting. And there’s definitely enough for a pretty thick layer on top too. 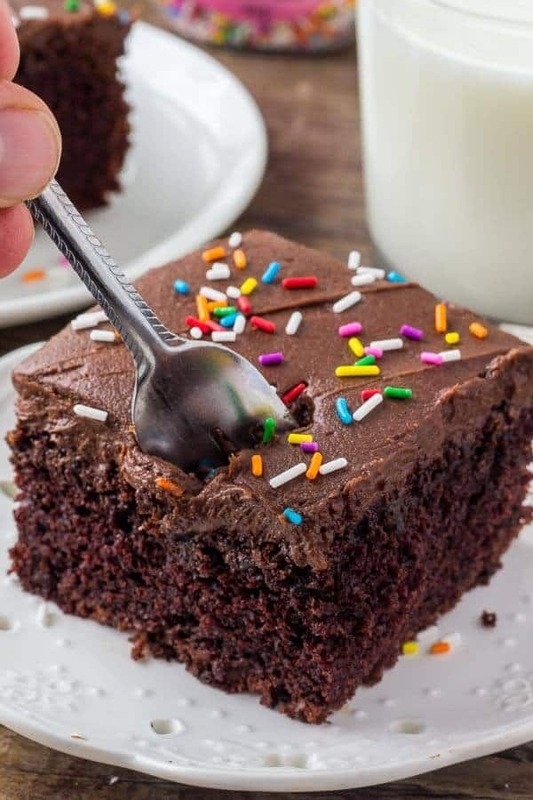 The chocolate sheet cake itself is super delicious, so if you don’t have time to make frosting (or if you’re just not much of a frosting person) top it with ice cream and maybe some chocolate sauce and you’re good to go. Beat together the oil, sugar, vanilla and eggs in a separate bowl. Then beat in the milk. Carefully mix in the dry ingredients. Grease a 9x13 inch pan and sprinkle with cocoa powder. Then pour the cake batter into the pan. Bake for 28-32 minutes, or until an inserted toothpick comes out clean. Beat the butter until well softened. 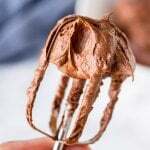 Whisk together 3 cups powdered sugar and the cocoa powder. Beat the cocoa powder & powdered sugar mixture into the butter about 1 cup at at time, alternating with 1 tablespoon of cream/milk. Beat in the rest of the powdered sugar about 1/2 cup at a time, alternating with 1 tablespoon of cream until the desired sweetness and consistency is reached. Frost the cooled chocolate cake. *Leftovers can be stored in an airtight container at room temperature for 3 days. **Unfrosted cake can be wrapped tightly and frozen. Thaw in the fridge overnight. What a lovely and classic cake. It’s just pure happiness! Looks amazing! I’m sure it will be a hit in my house! 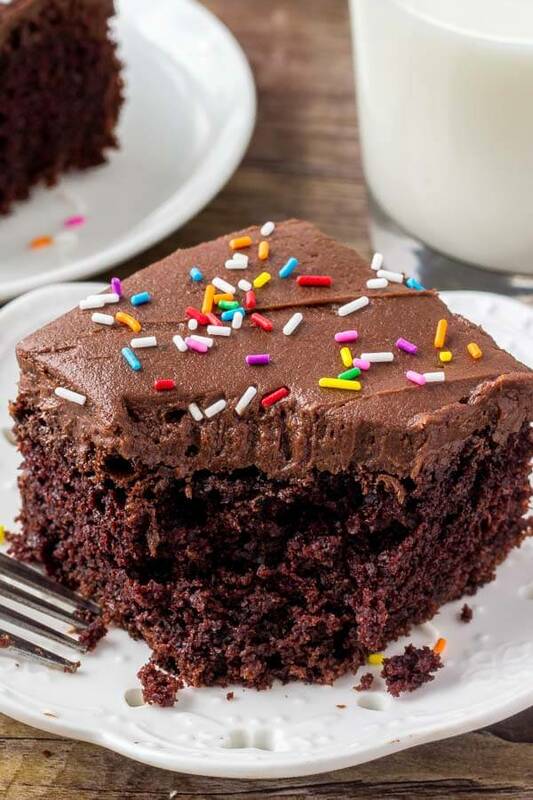 This looks like the perfect cake and frosting combo! So much chocolate! This is so much better than any box mix, homemade, easy to make and loaded with flavor….this is on my weekend to bake list! Just made this because the little kids are coming over! I hope they like it…Oh! Who am I kidding? Of course they will LOVE it – it’s chocolate and it’s 9×13!!!!! All that’s left is to make the icing! H’s reaction: Shaking upon seeing it. Good sign. “I don’t like frosting” after which he LICKED it clean….and then asked for a second piece! F’s reaction: stuffing pieces so big into his mouth that pieces fell out all over the place. LICKED it clean. But my parents! They LOVED it too! (And they don’t like things that are too sweet or too “American”. Can this be made as a layer cake? If so, what size pans, how many and how long to bake?